“`Oscar-winning filmmaker Martin Scorsese took time out from post-production duties on his new movie, The Irishman, to help unveil a new program for an educational resource created by The Film Foundation; a non-profit organization dedicated to movie preservation that he co-founded in 1990. The curriculum is the latest addition to the organization’s ongoing motion picture course The Story of Movies, which aims to teach students how to read the language of cinema in the context of history, art, and society; what my Forgotten Hollywood journey attempts to accomplish. 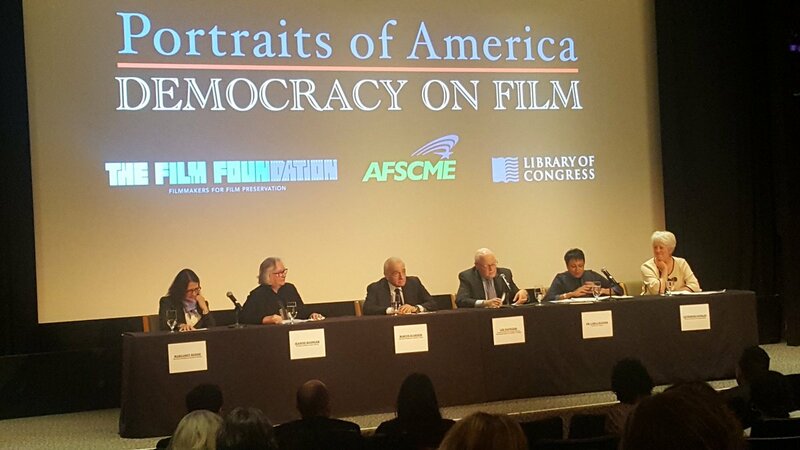 “`The foundation partners with the American Federation of State, County, and Municipal Employees, and has unveiled a new curriculum created by filmmakers, Hollywood historians, and educators called Portraits of America: Democracy on Film. This eight-section course is a free resource for schools and universities. These productions range from Charlie Chaplin’s The Immigrant; Billy Wilder’s Ace in the Hole; to Martin Scorsese’s, Howard Hughes biopic The Aviator; and Al Gore’s An Inconvenient Truth. “`The titles extend from 1917 to 2006, and include comedies, documentaries, science fiction, animation, drama, historical fiction, independent films, and epic blockbusters. Accompanying the curriculum are a teacher’s guide, power point presentations, and DVD (which can also be streamed) that includes cinematic excerpts and additional material. Offered free of charge to elementary and high schools, Democracy on Film is comprised of eight modules addressing different aspects of the democratic experience, including immigration, labor, Civil Rights, and the press. Within every module… scholars, educators, and filmmakers examines celluloid that reflect American democratic ideals. “`Our next and future generations of cinematic aficionados might find this effort an essential learning experience. That is my hope. This entry was posted on Thursday, March 29th, 2018 at 12:01 am	and is filed under Blog by Manny Pacheco. You can follow any comments to this post through the RSS 2.0 feed. You can leave a response, or trackback from your own site.